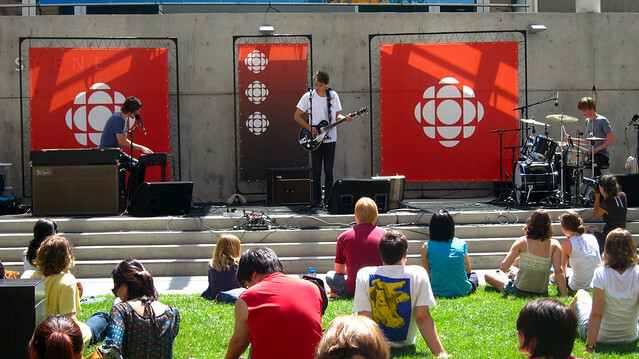 CBC Musical Nooners with We Are The City at CBC Vancouver plaza on July 16, 2010. 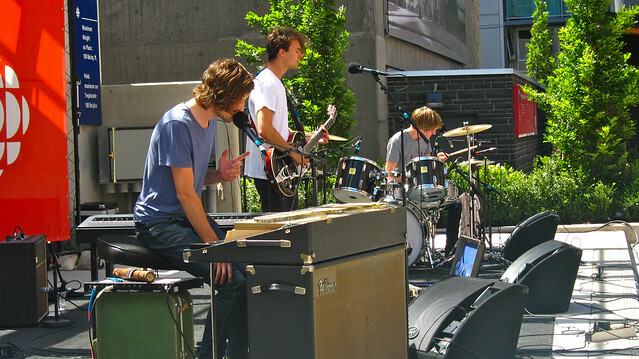 I absolutely love being able to walk outside work and have an awesome, free live concert every other day or so. 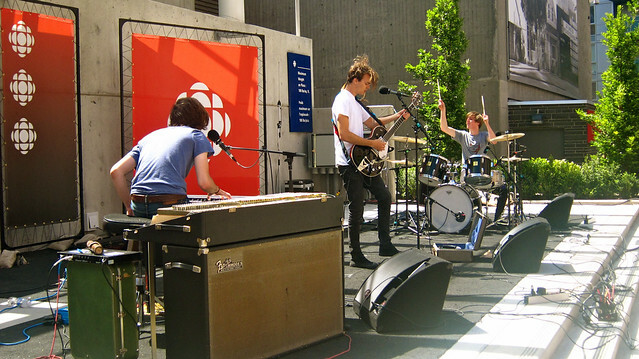 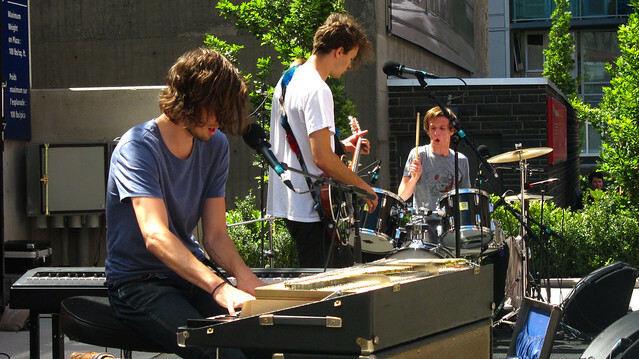 Today, Kelowna rockers We Are The City played at the CBC plaza as part of their free live concert series. 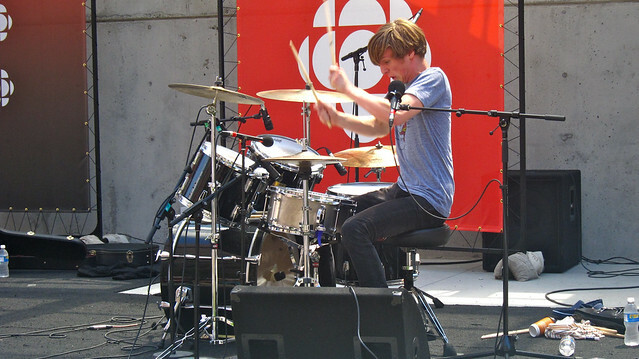 Drummer Andrew Huculiak powered through an incredibly intense performance, abusing his drum set with fierce passion and speed. 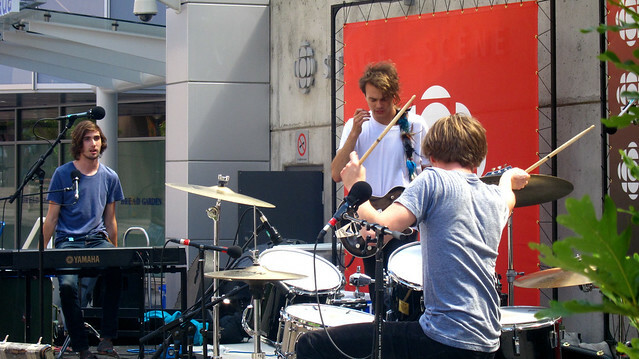 He seemed singularly focused and "in the zone". 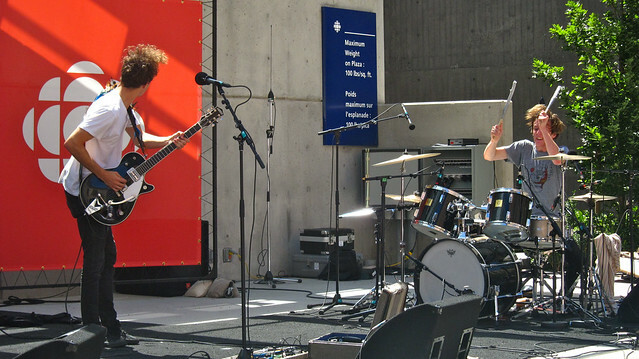 Guitarist David Menzel had an aloof goofy demeanor, joking about his ragged hair and the band's intentionally awkward banter back and forth with the lunch time crowd. 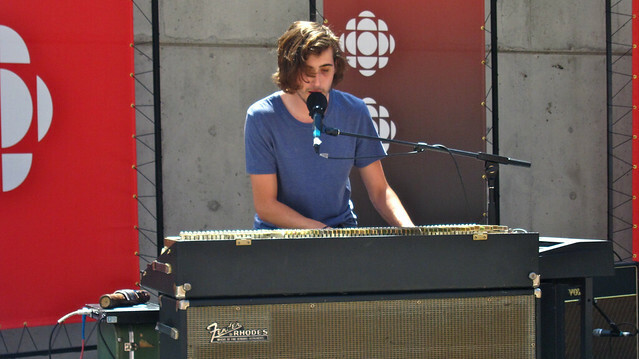 Keyboardist Cayne McKenzie told a bizarre story about getting beat up at a school playground by some bullies recently, explaining his black eye. 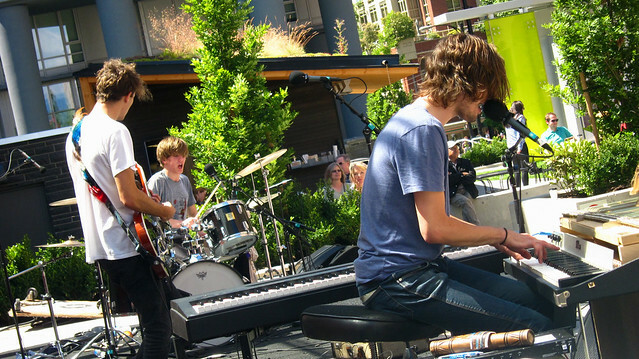 I was also amused at McKenzie constantly moving his long hair in order to sing properly into the microphone. 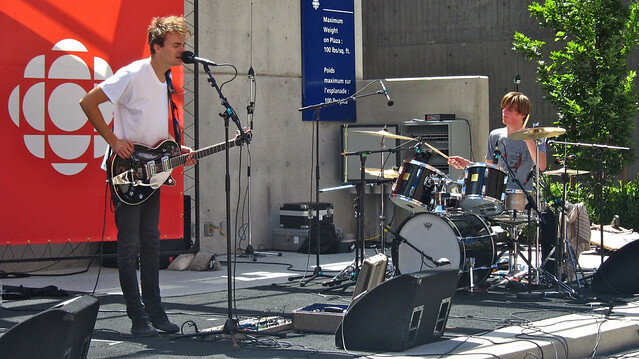 It was an entertaining lunchtime concert and a great way to kick off the weekend.